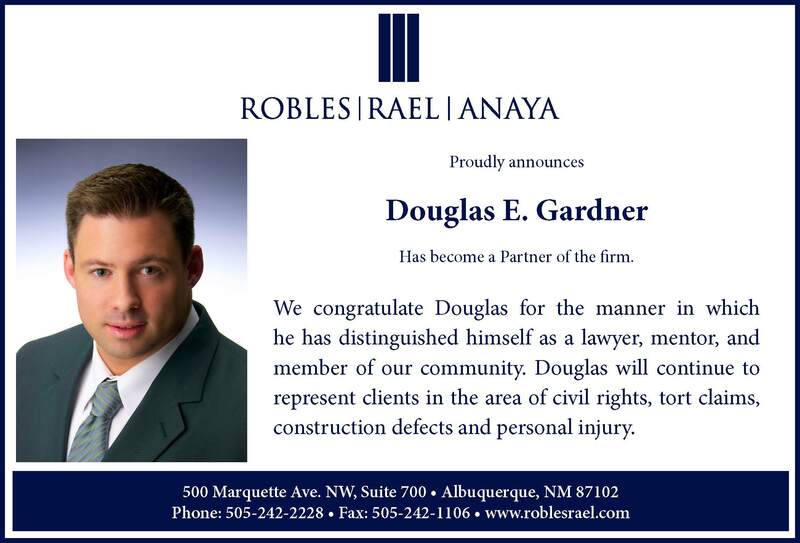 Robles, Rael, and Anaya proudly announces their newest partner, Douglas E. Gardner. We congratulate Douglas for the manner in which he has distinguished himself as a lawyer, mentor, and member of our community. Douglas will continue to represent clients in the area of civil rights, tort claims, construction defects, and personal injury.